With O’Reilly for Higher Education, libraries can now give students a competitive advantage in the classroom and beyond with access to the most current knowledge, trends, conversations, and real-world experiences in business and technology. 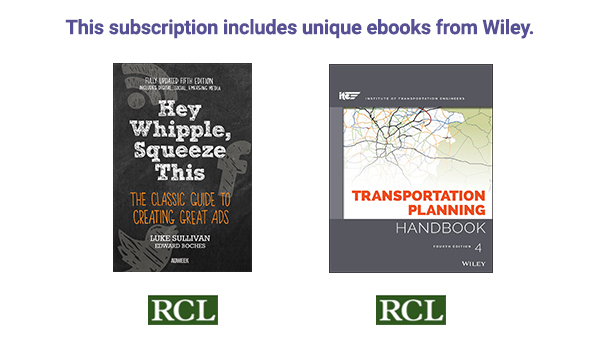 Exclusively available to academic libraries through ProQuest on an unlimited user and content model, O’Reilly includes tech and business content from more than 250 publishers - along with videos, case studies, expert-curated learning paths and self-assessments on exclusive O'Reilly-produced content from world-renowned innovators and corporate leaders. 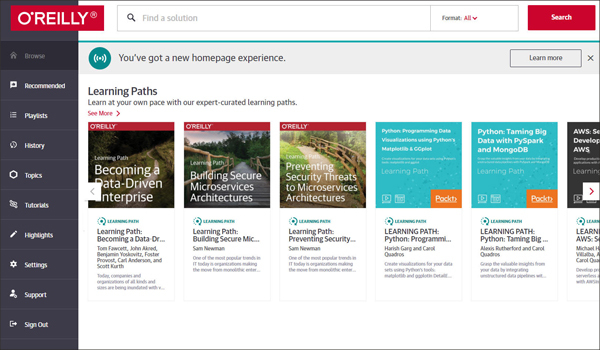 The platform includes more than 35K book titles plus 30K+ hours of video, proven learning paths, case studies, interactive tutorials, audio books, and videos from O’Reilly’s global conferences and 250 of the world’s best publishers. More than 2.25 million professionals in more than 4,000 businesses and government agencies learn with us every day. O’Reilly for Higher Education, complements classroom curriculum, prepares users for future careers, and encourages lifelong learning. 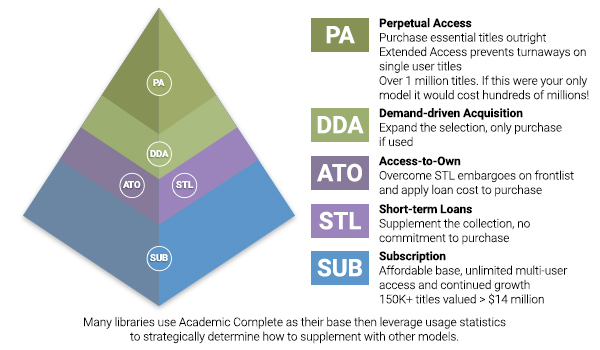 With our new pricing model, any number of students and faculty can use the platform at the same time, all the time, with pricing based on FTE. Please note that textbook replacement remains unavailable. Students interact with a modern, intuitive, and responsive interface that works on any screen size. Today’s on-the-go learners can access information on the mobile app—anywhere, anytime—online or offline. Users get the kinds of experiences they expect with tailored content recommendations based on the material they like to read and watch. Personalization features include playlists for easy retrieval and content syncing across multiple devices, including notes, highlights, and bookmarks.